It's apparently important for companies to get their 2D data converted to 3D models to Converting 2D Drawings to 3D Models to empower design engineering. In the field of modern industrial design 3D modeling is growing popularity among designers due to inherent advantages compared to 2d, it is more visual and proves to be easier to edit or modify. We are helping companies to quickly convert the old 2D drawings to 3D model by our unique methodology with best practices with right expertise. 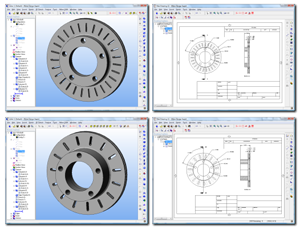 FaithPLM team has vast experience in 2D to 3D conversion with required precision and accuracy.